Simkar Miro® Collection MIE Series Premium specular industrial fluorescent fixture supports four 32-Watts power rated T8 fluorescent lamps for lighting. It has die-formed heavy gauge steel and high-gloss housing construction with baked white enamel finish over rust inhibiting phosphate coat for maximum reflectance and added durability. Fixture has specular Miro® 4 aluminum reflector that provides maximum reflectance up to 95% with controlled beam spread. 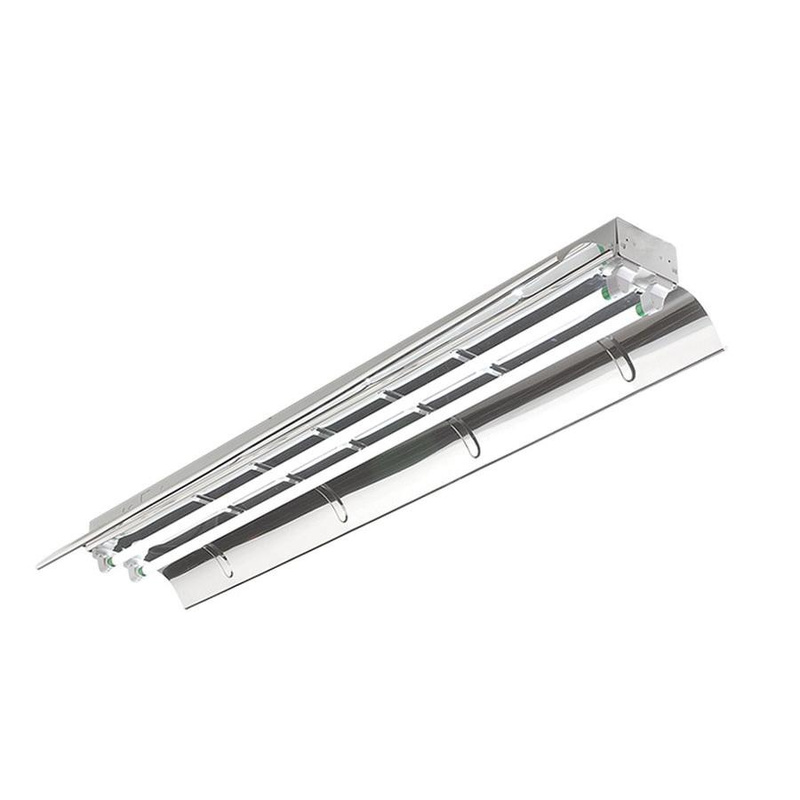 Fluorescent fixture supports ceiling mounting and is suitable for commercial, industrial and retail purposes. Fluorescent fixture meets cULus listed for damp locations standards.